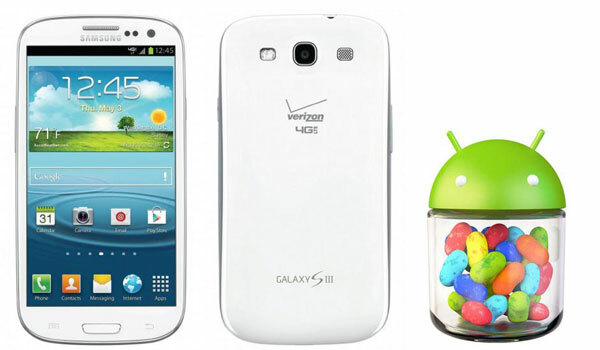 Galaxy S3 for verizon get official Android 4.1 Jelly Bean Update. The update has 400MB in size, and among others it brings: improved notifications system, Google Now, Google Maps with “voice typing”, S-Voice enhancements, support for Isis Mobile Wallet, resizable widgets, updated Visual Voicemail, new Photo Effect filters, and so on. In case you need to read the Software Update Instructions, or want to see the benefits of the upgrade in detail, Verizon’s Support webpage is the place to visit. Device now includes support for the Isis Mobile Wallet; Shop, pay, and save with your phone using the Isis Mobile Wallet. The Isis Mobile Wallet holds virtual versions of most things your existing wallet does such as payment cards, loyalty cards and coupons. Just tap your phone to pay at any Isis Ready merchant. For more information on the Isis Mobile Wallet please visit verizonwireless.com/Isis. Note: Isis is available in select markets only. A new Sim Card and special software will be required to use the Isis Mobile Wallet. Improved connectivity and reliability when syncing Google and POP-3 e-mail accounts. Enhancements made to improve accuracy of predictive text. Automatic Set Up option has been enabled when setting up a Road Runner email account. Improved accuracy and runs reliability of Weather application. Visual Voicemail has been updated to ensure proper delivery of notifications. Fixed resets that were sometimes seen when trying to connect to a VPN client. Support for opening attachments in .ics format. Now supports Software Upgrade Assistant; installs and runs automatically when plugged in to your computer’s USB port. Missed Call Log has been updated to ensure accuracy. used Wi-Fi sources hot spots. Verizon Accessories Application has been added as a preload.